The Church is to be more than just a local congregation. 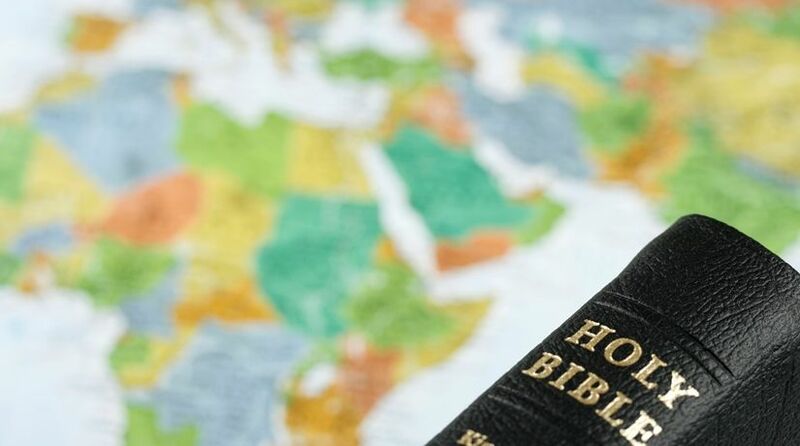 Scriptures clearly reveal that it is to be worldwide in scope and impact. Why is that important? When Jesus Christ first announced that He would build His Church, He said that the gates of Hades (the grave) would not prevail against it (Matthew 16:18). The Church would not die out. So, somewhere on this earth, the Church that Jesus promised to build and preserve still exists. Wherever that church is, it will be doing a worldwide work. It will be more than just an individual congregation in a local community. It will be a church that has a presence in many nations. After His resurrection, one of the first instructions Jesus gave His disciples was: “Go into all the world and preach the gospel” (Mark 16:15). Later, just before Christ ascended to the Father, He told His disciples to be witnesses “in all Judea and Samaria, and to the end of the earth” (Acts 1:8). We read in Scripture that Peter preached to areas in Asia Minor (modern Turkey): most notably Pontus, Galatia, Cappadocia and Bithynia (1 Peter 1:1). The apostle Paul preached the gospel in many places, including Athens, Corinth (Acts 18:1) and Rome (Acts 28:16, 30-31). “The word of the Lord was being spread throughout all the region” (Acts 13:49). Before the return of Jesus Christ to the earth, the gospel of the Kingdom of God will have been preached “in all the world as a witness to all the nations” (Matthew 24:14). In fact, when Jesus does return and resurrects the saints, they will be gathered together “from the farthest part of earth” (Mark 13:27). This indicates that the elect will have been located in different parts of the earth—not just in Jerusalem or in the United States, but around the world. As we await the return of Christ, the Church will be preaching the gospel and will be spiritually instructing those whom God calls (Matthew 28:19-20). The Church will consist of members from around the world—it will truly be a worldwide church. While a number of religious organizations have established a presence in various parts of the world, during the latter half of the 20th century, one such church was especially dedicated to doing a worldwide work, and a remnant of that church continues that work today. In early 1934 Herbert W. Armstrong began preaching the gospel on a little radio station in Eugene, Oregon. There were only a few people who listened at first, but the audience grew as more and more stations were added. Clear-channel radio stations were procured, and the gospel message was soon heard across the United States. Thousands heard and responded to the message. Church congregations were formed in what became known as the Radio Church of God. And those congregations were not just limited to the United States. In 1953 Radio Luxembourg began carrying the Church’s program, called The World Tomorrow. The Gospel message went into Europe, and soon congregations were being formed in Britain and other nations. A number of congregations began in Canada, Mexico and Latin America. It became clear by 1968 that the Radio Church of God was more than just an American church. It was now a worldwide church using various media, and hence the name was changed to the Worldwide Church of God. As technology advanced, so did the preaching of the gospel. Television was added; and a plethora of booklets, articles and magazines were printed in English and other languages. The gospel message was going into all the world. As we await the return of Christ, the Church will be preaching the gospel and will be spiritually instructing those whom God calls (Matthew 28:19-20). The Church will consist of members from around the world—it will truly be a worldwide church. However, in early 1995, almost a decade after Herbert Armstrong’s death, the leadership of the Worldwide Church of God began to change the doctrines and teachings long held by the Church, ultimately even changing its name. That series of events caused a number of groups to develop, and soon the gospel message to the world was greatly diminished—until the Internet became more widely available. This has allowed the gospel to again be preached to the ends of the earth. Today, there are a number of groups and churches that claim to be proclaiming the gospel message, and the Internet is full of a variety of choices. However, in an age where God is being diminished and even ridiculed, the message of the Kingdom of God is being drowned out by a litany of atheist and agnostic points of view. Nevertheless, Jesus Christ’s words remain true: “This gospel of the kingdom will be preached in all the world as a witness to all the nations, and then the end will come” (Matthew 24:14). God loves all people. John 3:16 is a famous scripture that proves it: “For God so loved the world, that He gave His only begotten Son.” God is concerned for everyone, no matter where they live on the earth. In fact, He does not want any to perish—including those who live in the remotest corners of Africa and those who live in the affluent Western cultures. God is “longsuffering toward us, not willing that any should perish but that all should come to repentance” (2 Peter 3:9). Repentance, turning from sin to righteousness, is all part of the gospel message. Jesus Christ came preaching repentance and belief in the gospel (Mark 1:15). The gospel message is for everyone—Jews and gentiles, male and female, young and old, poor and wealthy (see Galatians 3:26-28). The preaching of God’s truth cannot be limited to just a few miles around a local church building. It must be proclaimed to the whole world, and that is just one of the reasons why the Church of God exists—to preach the gospel as a witness to all nations. One of the great decisions we all have to make is whether we will follow God or follow the ways of this world. And, somewhere in this world, is God’s Church. Where is it? What will it be doing? Where can it be found? Well, one thing it will be doing is preaching the gospel into all the world. It will be a worldwide work, and it will have a presence in many nations.